Tommy John has become increasingly more common due to the competitive nature of sports that involve throwing. 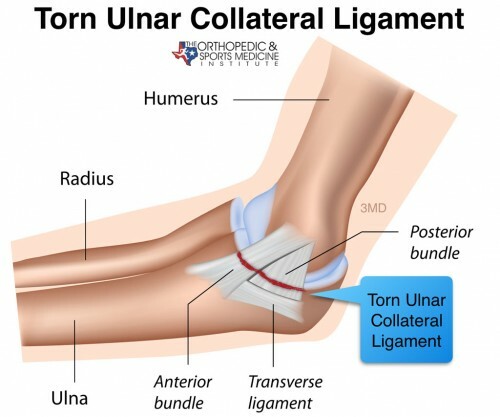 With the overhand throwing motion, the ligament named the Ulnar Collateral Ligament, which is located on the inside of the elbow, is susceptible to tears. These tears are due to exposing the ligament to the repetitive force of a throw. Surgery is not always warranted for a partial tear, so conservative rehabilitation, bracing and a gradual strength program may be the best option to decrease the inflammation and alignment of collagen tissue. If your physician feels surgery is the appropriate form of treatment, the patient will follow up with their occupational therapist for either a hinged elbow brace or long arm custom orthosis along with initiating the progressive and sequential order of rehabilitation. Timeline of recovery is based on the technique used in surgery, however, typically rehabilitation can last up to thirty weeks and complete recovery can take up to twenty-four months.